Steel City Underground presents our 2017 Recall: a brief look back at Pittsburgh Steelers games from last season. The ongoing saga of brutal Steelers versus Bengals games continued into Week 13 of the 2017 as the Steelers traveled to Paul Brown Stadium for a primetime engagement with their AFC North foe on Monday Night Football. The Steelers received the ball first, but it wasn’t long until the Bengals had their chance following a Ben Roethlisberger pass, which was intended Xavier Grimble, getting intercepted. Only a few plays later, at the 11:26 mark, the collective football community, from the players to the fans, went silent. Steelers linebacker Ryan Shazier laid almost motionless on his back after making what looked like a routine tackle. The game took a pause as the defensive signal caller was stretchered off of the field. As the cliché goes, “the show must go on” and it did. It took nearly three quarters for the Steelers to shake off seeing one of their football brothers being potentially paralyzed. No one knew what was going on, other than there was almost 50 more minutes of a football game to be played, against a team which always brought out the worst in each other when both sides met. Vince Williams, who was also involved in the play, was emotional on the sideline and captain Cameron Heyward was seen reassuring him. Shazier was replaced in the game by Tyler Matakevich. The Steelers were able to hold the Bengals to just a field goal but when Pittsburgh went three-and-out, Andy Dalton took advantage of Matakevich being inserted into the lineup and used a heavy dose of rushing by Joe Mixon and passing. A fake handoff behind Alex Erickson gave Dalton room to run and then Coty Sensabaugh got called on an inside move on a flag route by A.J. Green, giving the Bengals the touchdown. With the score 17-0, it looked as if the Steelers would get shutout in the first half. Their first four drives resulted in an interception and three consecutive punts. They went 0-6 on third down conversions through the entire first half as well. Fortunately, the Killer B's would get the Steelers on the board before halftime. 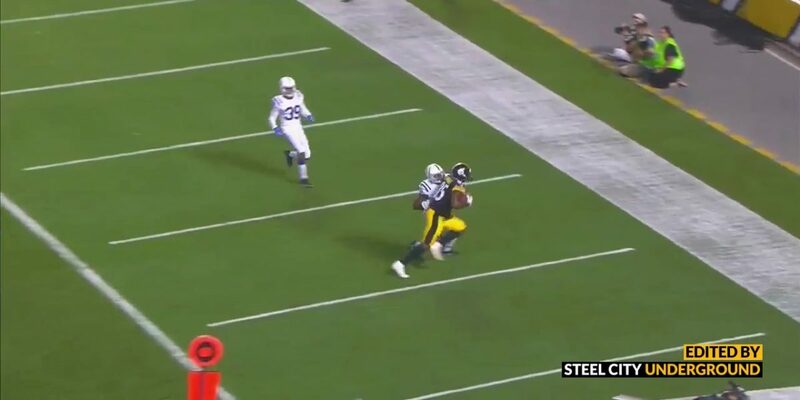 Following a nice Le'Veon Bell run, Ben Roethlisberger targeted Antonio Brown and received a pass interference penalty against Dre Kirkpatrick with only five seconds left in the second quarter. That set up a Chris Boswell field goal to put the score at 17-3 in favor of Cincinnati going into the half. The Steelers were able to come out for the second half and get things going. The defense got a three-and-out to get the offense back on the field. Roethlisberger marched the team down the field 78 yards in nine plays and threw a quick dump-off to Bell who ran down the left sideline and went virtually untouched straight into the end zone, his feet remaining in-bounds; William Jackson and Jordan Evans making a mental mistake in not forcing Bell out. With the PAT, the Steelers cut the score to 17-10. That gave everyone some hope in light of Shazier's injury... the only other thing you could maybe count on was a Bengals implosion. And it would happen to Cincinnati once again. Four of the Bengals second half drives ended in a punt. The Bengals were able to answer on their only non-punt drive of the second half with a Randy Bullock field goal, but that was it. On the kickoff that followed, a 96-yard kickoff return by Martavis Bryant was negated due to a holding penalty on J.J. Wilcox. Before the field goal, Artie Burns and Fort combined on the tackle of Green, with Burns stripping the ball loose. Upon review, the pass was considered incomplete in what turned out to be a game full of penalty flags on both sides. The Steelers finally tied the game, 20-20, on an 80-yard drive with a pass from Roethlisberger to Brown. 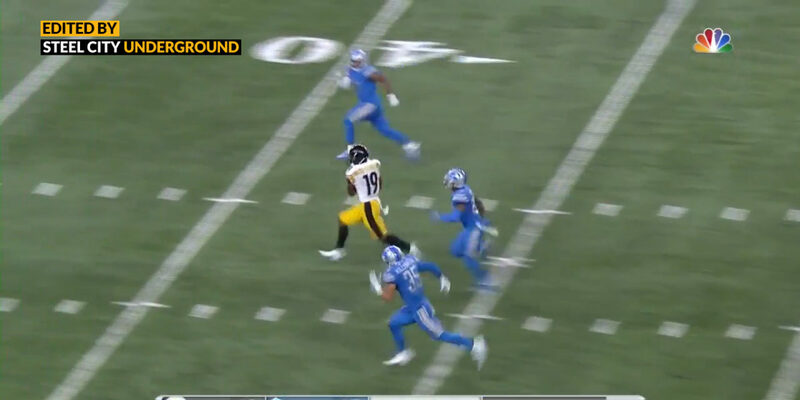 Before the play, rookie JuJu Smith-Schuster blocked Vontaze Burfict, hard, resulting in a penalty for unsportsmanlike conduct and taunting while Bell ran. The Steelers kept their composure as Brown was hit in the helmet while making the touchdown catch by George Iloka. Similar to the previous week against the Green Bay Packers, the defense put the offense back on the field with help from a Bud Dupree sack of Dalton and Roethlisberger orchestrated a drive with time clicking off the game clock to set up a game-winning field goal by Boswell. What seemed an overwhelming task - to overcome an injury to Ryan Shazier, down early – the Steelers would win 23-20. It would be the second-straight week a Chris Boswell field goal would lift Pittsburgh to victory in the final seconds of the game. Will anyone forget the block that JuJu Smith-Schuster put on Vontaze Burfict? Cincinnati fans may call it dirty, and it drew a one-game suspension for JuJu. However, I don’t think there’s a soul in Pittsburgh who felt Burfict didn’t have it coming. Vigilante justice was just a footnote of this game, however. Ryan Shazier continues to rehab from the injury he sustained in this game. The sentiment following this game was “this is ugly and needs cleaned up”. Part of the reason for the cleanup calls was the Bengals franchise record-setting day: and it wasn’t something to brag about. Cincinnati was tagged with 13 penalties for a whopping 173 yards in this game with the officials throwing 20 flags in total. 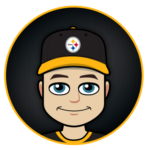 Steelers kicker Chris Boswell kicked the game-winner for the Steelers in three of the last four games during this stretch of the season, but also extended his streak against the Bengals to a perfect 24-of-24 field goals. The Steelers come-from-behind victory, down 17 points, was their biggest comeback since an 18-point deficit against the Denver Broncos in 2015: that game was their biggest comeback win since 1997, making the Bengals game the second-biggest comeback in two decades. The Steelers 10-2 record was their best start in their first 12 games of a season since 2004. Only three other teams had won ten games through Week 13: Minnesota, New England, and Philadelphia. It was also their seventh-straight win in a row since the miserable Jacksonville loss in Week 5. Ben Roethlisberger became the eighth quarterback in NFL history to reach 50,000 passing yards in regular-season career games. Le'Veon Bell recorded his second-straight season with 1,000 rushing yards and third of his career in the victory. Following a 37-yard Chris Boswell field goal, Pittsburgh closed Cincy's lead to 7 and was in dire need of their defense to make a stand. And they would immediately make one. On the Bengals very first play from scrimmage following Boswell's field goal, Steelers defensive coordinator Keith Butler dialed up the perfect blitz, utilizing his inside linebacker Vince Williams. Williams storms through the center of the Bengals offensive line, completely untouched, as Cincinnati QB Andy Dalton curls into the fetal position to brace for the big hit. The sack would generate an eight-yard loss for the Bengals, followed by a false start penalty which dug them into a deeper hole, moving Cincinnati's offense all the way back to their own eight-yard line. Two plays later, the Bengals would punt, setting up the Steelers for their game-tying touchdown drive. Chris Boswell would seal the deal with a 38-yard field goal as time expired, to send the Bengals back to their locker room the losers in a 23-20 defeat.